Joetta Clark was born August 1, 1962 in East Orange. She grew up in South Orange as the daughter of Joe Clark—the meteoric high-school principal played by Morgan Freeman in Lean On Me. Joetta stood 5’6” and weighed 120 pounds. As a member of the Columbia High track team, she developed a combination of speed and stamina that made her ideal for events like the 800 meters, roughly a half-mile. Joetta was the star of the Cougars track team in the late 1970s, winning the state title in the 800 meters and making it to the Olympic Trials in 1980. She would participate in a total of 6 Olympic Trials during her remarkable career. The 2:04.5 time she logged as a junior stood as a national prep record for nearly three decades. Joetta received a scholarship from the University of Tennessee, where she continued to flourish. She won the AIAW Indoor 1,000-yard championship in 1982, and the NCAA Indoor 880-yard titles in 1983 and 1984, and the NCAA Outdoor 800 in those same seasons. In all, Joetta captured 5 U.S. Outdoor titles, 7 U.S. Indoor titles. She won seven titles at the Millrose Games at Madison Square Garden, cheered on by throngs of friends and family. Joetta also won two bronze medals at the World Championships in her career. Her best personal time in the 800 was 1:57.84. Joetta competed for the U.S. in four Olympics—1988, 1992, 1996 and 2000. Joetta’s coach was Joe Clark Jr., who also coached Hazel, her younger sister, as well as his wife (Joetta’s sister-in-law) Jearl Miles-Clark. At the 2000 Olympic Trials, the three Clarks swept the 800 final, with Joetta edging her sisters for first place at the age of 37. In 2002, Joetta launched a Sports Foundation that bears her name. It promoted involvement in sports and teaches good health and positive work ethic. 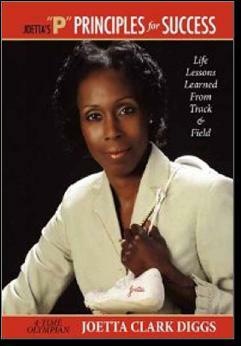 In 2009, Joetta was inducted into the USA Track & Field Hall of Fame. That same year she authored the book Joetta’s P Principles for Success.